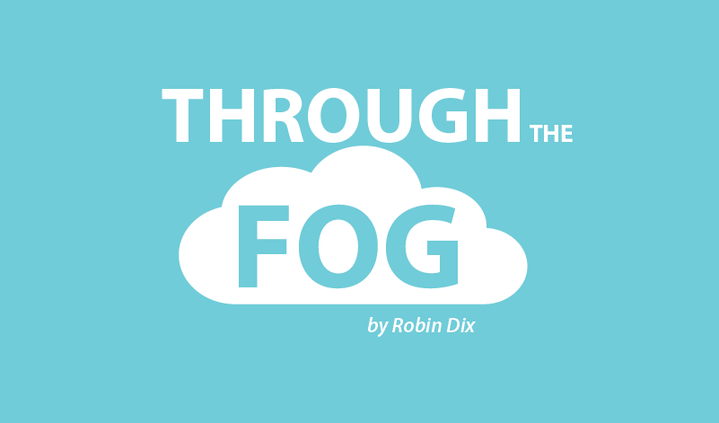 Fibromyalgia Friends, How Do You Handle Post-Exertional Malaise? FM Friends, How Do You Handle Post-Exertional Malaise? Sadly, we are two peas in a pod with this. I am able and capable of exercise and outings and feel well and part of life. But then the pin hole in my gas tank leaks out all the energy and I become weak, nauseated, experiencing dizziness and can have more pain. It’s baffling indeed. I deal with both physical and mental fatigue after the fact like you. One time a neurologist told me mental fatigue is just as bad as physical. I believe it. I do try to pace but I need to live someway and somehow. My life is about experimenting and hoping. I laughed,not because it was funny. But today I felt great.And walked in and out of stores 2 plus hours.Shortly after I was limping and wondering what happened ?? Then I remembered the Rheu.that I see warned me about “overdoing” There are days when I pay the piper…Now I am in the process of determining what is worth the price to pay the day after. I do enjoy your post…Thank you so much for what you do. I can so relate to this! I just found this site this morning and I feel better already knowing that I am not alone. I hate PEM (new word for me) but I know the feeling all too well. I can pace myself on days off but at work I have no choice. I tend to think of it like a hangover! I use up a bit extra energy because Im enjoying myself, knowing tomorrow I will pay. But the payback is worth it for as active a life as possible. When I am on holiday, we try to alternate busy days with quiet days. I also know that I can chill beforehand to give me maximum energy for the holiday, and I make sure I only have therapeutic appointments for the week after. Its about deciding who and what is worth the “hangover” ? Yes! I agree Kristin and Robin! On those rare, exciting days when I feel like my FM is well-managed and I’m capable of being really productive, I’ve experimented and learned (over a long period of time) when the benefits of overdoing it outweigh the consequences. I had always thought of this as something to consider in terms of physically overdoing it, but about a week ago, my supervisor said to me: “just go home. 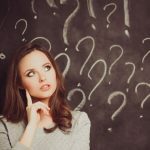 Why do something when you feel awful and it’ll take forever, when you could get it done more efficiently and do a better job of it when you’re feeling better?” This had never occurred to me, and was definitely a major eye-opening moment. Wow! PEM, what is so unfortunate is that NONE of the physicians I have ever seen have mentioned this condition, but I have been told so much that I need to exercise. Going to the store for a couple hours does this every time and I had been limping. At times my hips feel like they are scraping bone to bone. They have done xrays and said it was mild arthritis – nothing mild about it when it happens. A day spent with my grandson will do this, as well as vacuuming the house. I use to be able to garden 8-9 hours for a couple days – now maybe 4 hours and then rest for 2 days. I completely empathize, Kathy. I was in the same position for a long period of time. Interestingly, my psychiatrist was the one who first brought up PEM as something affecting me. This was before I received my FM diagnosis, and perhaps it is something that all people should take into account. While other people may have higher thresholds for physical and mental output, we all need to be careful about going over our individual boundaries. Good luck, Kathy, and I hope you find a more therapeutic solution to the nagging from doctors about physical activity (trust me, I hate it, too!). I suffer from it if I “over do.” That’s why it’s important to listen to our bodies. That’s how I feel about outings too. I actually tell folks to give me a couple day’s notice if we’re going to do something, just so I can store up the energy. And of course, those days I usually over do it and pay for it the next two days. But I always feel better after swimming. In fact, I MADE myself go today. Actually felt horrible before that and thought about staying in bed. Am happy I went. I feel so much better, even if I’m just floating in the water or talking to a friend I haven’t seen in a while. I completely agree, Denise! I also want to highlight the significance of how difficult it can be to listen to our own bodies. For me, up until I began to suffer from Fibromyalgia, I was so used to telling my body what to do, like when to eat, sleep, take a break (or no breaks at all), etc. — not the other way around. When I had to “relearn my body” after my FM diagnosis, I had a much bigger task: learning all of it from the very beginning, for the first time ever. I was diagnosed with FM just two years ago, but reading your columns I now understand that I have had it for a long long time. This PEM just happened again this week. I have been keeping an activist journal (my therapist’s suggestion) to try and help me learn to pace myself. Pacing is difficult. When I feel good I want to do all year things I can’t do anymore. But just doing a few dishes or a couple of loads of laundry and I am back in bed. It is both frustrating and depressing. Tami,FM is an unforgiving disease. I agree that pacing is really difficult ? Cheryl, it’s absolutely ok to rant, we’ve all been there. Sending you gentle hugs ? Why don’t Men have FM or PEM? Why is it only women? What test or tests shows that someone has FM or PEM? I appreciate someone not feeling themself, being overly tired, run down or even over exercising, and becoming a slave to lacticacid pain. However, I am struggling with FM or PEM as a disease. I apologize if I sound uncaring, trust me I am not. I am concerned that we are making excuses to check out of life while we call it something else for embarrassment reasons. Thanks Robin. I appreciate your response. I am searching for answer in my own way as I watch my wife suffer. This is what the Dr.’s call it. I do not understand it because it is NOT a thing…instead, it is a something and there is no way to measure it. I know she is not crazy nor the Dr.’s but I may be…Hahaha. Anyway, thanks for the response. There are needs the families need more than the patients sometimes. Tom, you’re a good man and I hope you find something that helps your wife ? Robin is absolutely correct. The ratio of women to men that get this illness is very high, be we are not spared. Anyway, finding men with this problem is harder than finding the ladies. Finding a good support system for the afflicted and their spouses is so very helpful in cutting down guilt. Personally, Jesus gets me through a lot of times as I do not have a mate to help me. Family is learning, friends are too. But, people are people.. Do your best and your wife will make it through. Tom think of it like berast cancer. The majority of breast cancer patients are women but it can also happen in men. As to the testing to prove it, it’s still being studied but the medical community is finding more and more differences in the body ofthose with FM/CFS. There are differences in our vitamin deficiencies, something called substance P, hormonal differences, etc. Just because the medical community hasn’t figured it out doesn’t mean it’s not real. Remember they haven’t cured cancer yet either .. LOL. My husband is a pharmacist and when I was diagnosed 12 years ago he didn’t believe it either, but after 12 years of watching me suffer and the decline in my abilities he gets it now and has no doubt. There are lots of non-believers and I’m not picking on you, I wish I could help you understand. I also wish I could go back to work, keep my house as clean as I used to and enjoy living with passion. I was raised poor and on a farm, we were taught to work for what we get, it was drilled into us and probably in our genetics too and I have been ashamed and guilty for many years for what I couldn’t do. I continued trying to be me and the harder I tried the more I paid physically, eventually it ran my system down to the point it was giving me other health issues. When I learned to say no and learned when to stop I started living a better quality of life. I still overdo sometimes like others but usually it’s only for special occasions or out of necessity now. Blessings to you and your family! Thanks Sara. I really appreciate your response. I have a great wife that has been diagnosed years ago, yet no Dr. can confirm or deny. It is treat the symptoms. That seems to be counter productive. I just love her so much I hate to see her suffer…but I am here for her the rest of her life. I am searching for a better way of life for her if it exists. Thanks again, your response mattered to me. I personally guarantee that men can have Fibro and PEM. Some days, the duvet wins and I cannot physically get out of bed. Other days, I just about manage to perform some basic tasks. However, even having a shower can be exhausting. At the grand old age of 49, I have to use a wheelchair and mobility scooter. My wonderful wife has become my carer. This was not part of my retirement plans. Thanks for the message Dave. Heads up, brighter days are ahead. I believe where there is “Life, there is hope.” I do not understand this disease whether I believe it is one or not. My wife is suffering and I would love for her to have relief someway, somehow so she can enjoy the plans she made for our retirement. Hang in there, we will to. Thanks Dave. I also suffer from this and when shopping I have a limit of two stores. I start limping and know I have to quit. Because I do pace myself I am able to avoid most PEM. Good thing I really don’t like to shop but its hard when my daughter wants to go shopping and hit all these stores!! I get the limp too. I just thought it was me. Nope. Vickie, that’s how I know I’m pushing myself too far ? I overdo and I stumble about and speak dyslexic. I have even been accused of being inebriated or taking drugs. Yup, me too. I know they thought I was drunk or stoned at my last job. I wish I was — would have made that witch, my supervisor, more easy to deal with! Allison, you are so right. Fm steals so much from us ? As a fitness instructor, PEM is a HUGE struggle for me. Prior to a fibromyalgia and Hashimoto’s thyroiditis diagnosis, I was teaching 10 classes a week (kickboxing, cycling, weight lifting) and feeling great. Now, I get a PEM reaction after senior fitness and gentle yoga classes. However, I’m still very capable of doing a hard workout–reining in my enthusiasm and exertion level during the workout is hard for me. While laying on a heating pad and being unable to sit up after a workout, I think, “Why did I do that? ?” For those of us who previously were very active and athletic, PEM is so hard to deal with and compensate for! PEM is SO hard to deal with!! Jennifer I’m glad you can still work out. ? I hear you Jennifer. I even had to cease w/ Tai Chi. Thankful I am ambulatory and can still drive short distances. So sorry Em. I’ve recently gotten into tai chi/qigong and it’s wonderful. Have you tried doing it while seated? The breathing exercises alone are beneficial too. Amazon Prime has some seated tai chi/qigong videos available, I think. I’ve had CFS and fibromyalgia for over 30 years. The only shopping I do in stores anymore is my once-a-week trip to the supermarket. I do that early in the morning when the store isn’t crowded. I need a nap afterwards but I do that anyway each afternoon. I’ve been on disability (SSD) for 8 years now and haven’t worked for 11 years. I used to work in a hospital as a medical secretary and transcriptionist. I sat at a desk most of the day, so that’s how I was able to work all those years. I do most of my shopping online now. My supermarket even does home delivery, so I did that on a few occasions when I wasn’t able to make it to the store. I’ve learned to pace myself on my good days so I don’t have bad flare-ups very often. I’m 63 now and my fibromyalgia has gotten worse over the years (menopause didn’t help). It’s really a struggle but I take it one day at a time. Same here as far as getting worse as the years go by-hit the big 65 last year. I keep thinking I can go full speed and fail to get it through my thick head that this type of pushing has consequences. Blessings and peace to all of we fibro fighters. Christine, even sitting for that long would exhaust me. I’m glad to hear you’re regaining your strength. Enjoy your new home! since 2007 I was first care-giver for my mother for a year, 2008 for my aunt and horse (mom died 2007 and my aunt and horse in 2008. Then I became care-giver for my best friend of 55 years. Hers was the hardest as she required 24 hr care along with her horse, 6 dogs and a feral cat. All the while have FM since 1988. I had to push so very hard everyday that when she passed I ended up in bed for a month;then 5 months later made the drive cross country to make my move. Spent another month in bed and am now in “do something for an hour or two then lie down for 1/2 hour. Now my daugher has been diagnosed with cancer again (she was diagnosed with uretetal papiloma carcinoma in Aug right after my friend died July 1. I came and stayed a month with her to help to help then had to go home and pack. Now my daughter has bladder cancer so here I go again. I so hope I can find the strenght again==don’t know if I do, it has been the hardest thing I have ever faced being caregiver when I need help myself. Christine, wow! That’s a lot for one person to do, especially with fibro. Are there others who can help you care for your daughter? This is such a relief as each day I find I can do less. Can no longer shop even 10 minutes without crashing. But keep getting frustrated by all the articles about pacing and exercise of any sort . I love exercise and have even tried simple arm or leg exercises and still crash later. Is there any way to stop decline. Wendy,as far as I know there’s no way to stop the decline. Sending you you gentle hugs! I suffer from PEM too. I realise now that I’ve had fibromyalgia for many years befote being diagnosed. I could never understand how my friends never felt the same as me after a shopping trip for example. I could hardly manage to last the day and the pain and exhaustion I suffered I put down to maybe me being unfit. I’ve tried to work, had many different jobs but just ended up going to work, coming home beyond exhausted and going straight to bed. I push myself over and beyond the limit of my capabilities to try and keep up and function like a “normal” human being, but alas as I’ve got older so this illness has progressed leading me to give up trying to work and being cared for by my partner who now totally understands this terrible debilitating illness. I do all I can to lead a normal life, I look ok but inside my body is screaming out in pain and exhaustion which stops me from enjoying our time together. I can’t walk that far anymore but I push myself to do it only to suffer the next day from whatever I did the the previous day and the day before that. I can never recover from my previous days activities so they just stack up until I just collapse and have to give in and spend a day doing totally nothing, but even then I am never fully recover. So the vicious circle goes on day after day. It is such a neverending struggle and at times I wonder if I can actually go on. I want my old life back but sadly I don’t think that will ever happen. I have this so Bad! One of my worst problems with my fibro. Can’t do anything longer then a half hour and I’m stuck in bed for a couple days. Frustrating because I want to do more and I just Can’t! O! M! G! THANK YOU FOR THIS ARTICLE ! ! I have often though my tiredness was due to lack of sleep at night, this article has given me a little more understanding of this nasty disease. I will be taking a copy to my next doctors apt. My doc. has asked me to bring any info I get on FM. because she doesn’t know much on the condition but sees how it affects her patients. My Dr. knew me before my FM. She knew me as a vibrant woman that helped others and was very energetic. Now I’m the one that needs help! You’re very welcome May…let me know what your doctor thinks ? Oh my! This article was just what I needed. I have been beating myself up for not being able to ‘push through’ the utter wipe out feeling I have for hours or days after a moderate or strenuous activity or day. For instance I spend two hours at yard work then I can’t even manage to make dinner that evening nor do much of anything at all the next day( or two). I almost have been dreading my good days because they enjoyment of getting things done is tainted by the realization the next day(s) would likely be awful. I really thought it was me being flawed/lazy/wimpy and the guilt for thathas been awful as the pain and exhaustion. I cannot tell you how much this article has relieved my mind. 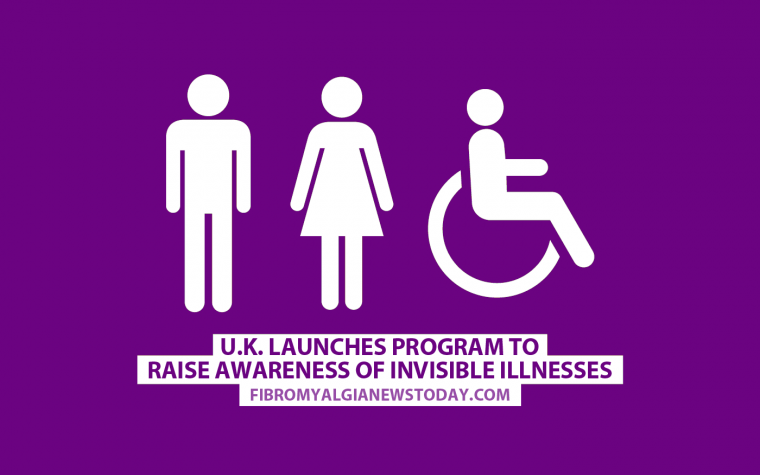 To be fair my husband as well has kept saying to me: ‘it isn’t you, it’s the fibromyalgia’ …. I don’t know how much worse I’d be without his endless support and encouragement. Hello Merf! It’s so wonderful that you have a supportive husband. Now you can stop beating yourself up ? Oh Michelle, I’m so sorry! I hope it’s short lived agony ? Bless you, Tom and thanks. Best wishes to you and your Wife. I am so glad I ran across this article! I have had Fibromyalgia for over 40 years and have experienced PEM for most of that time. While I always chalked it up to the FM I never really knew what it was before. It’s just nice to hear it has a name. I am now 61 years old and on disability. I have had to learn to pace myself much more than I ever wanted to. It is hard though to get those around me to understand why I can’t do certain things or join in all the activities that they participate in. Articles like this may help them understand. Thank you for sharing. Peggy, you’re very welcome, I’m so glad it was helpful ? I have been diagnosed with Fibromyalgia for over a year now, although dealing with the symptoms much longer. When this started happening to me daily at work I had no idea what it was. It was very scary, especially when it happened on my drive home. It felt like all my blood had suddenly drained from my body and I couldn’t breath and no longer hold my body up. Sometimes I couldn’t even keep my eyes open. I told my pain Dr about it and he had no idea what it was. I finally had to retire from being a Hairstylist for 26 years due to my dibilitating symptoms. Now that I get more rest it doesn’t happen as much, but if I don’t pace myself or overdo it, it happens all of a sudden wherever I am at the moment. After doing tons of research I finally found out what I was and was glad to find out that there was actually a term for what I was dealing with! It helps to know what it is so I can try to prevent it from happening so often and to know what I need to do when it happens. Thank you for this article. It really helps get the info out there so we can help each other survive this disease!! Pacing is so important! Thank you for sharing your experience with us Christy! We wish you all the best as you stay strong and fight against this disease. I struggle with PEM daily, though I didnt know there was a name for it either. I find that I can expend energy in short bursts through the day, but if I try any sustained effort, I’m going to suffer for it. I can usually go about 15-20 minutes before I need to take a 5-10 minute break. I can keep this up for a few hours before I’m all done in for the day. Lately I’ve spent some long hours traveling to see new grandchildren, and I was dealing with extreme drowsiness as well. It was like my body was shutting me down for my own good, and I ended up sleeping for almost 24 hours. It has been frustrating in the extreme! The medication is delivered thru catheter once a week for 6 weeks and only targets the tumors. Really great news. I am 68yrs old and have had fibro for over 30yrs. Like many others, my functionality has declined over time. A lot. And like many others, I struggle to do the simplest of tasks. Showering and brushing my teeth have become major accomplishments!! Just getting dressed and getting out of the house is a major feat that I might only be able to do once a week. So, my life is very limited by the illness now. Very much so. I have to take rest breaks between the smallest of tasks. Sometimes I can only wash a plate or two and then have to rest. But, I try to take pleasure and joy in even my smallest accomplishments – which helps keep my spirits up. Today I was happy that I was able to brush my teeth this morning. And now I am slowly trying to change my bed sheets. I will be very happy to be able to get this task done. Keep on pacing yourself, take very frequent rest breaks and celebrate each and every task you can do, no matter how small. Judi, I love your attitude! I too find that as I age my symptoms get more pronounced. We need to celebrate all our victories! Any suggestions that help recover when we over do? I grew up as an elite athlete representing my nation, my province and was an all american at a NCAA Div 1 university. I am almost thirty now and my body has been suffering from symptoms of FM since I was as young as 19, though I wasn’t officially diagnosed until I was 23. It had always been my dream to be a professional athlete and though my body was telling me it needed serious attention/rest during and after university, I agreed to play one season of professional volleyball overseas. It led to worsened stress and physical injury but at least I got to live out my childhood dream and cross it off my bucket list! Within a couple years of retiring my jersey and after falling into a deep depression, I was bed ridden when my muscles atrophied. I had to re-learn how to move through the world again. 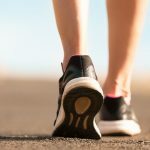 Within three years I had gone from being a professional athlete to being prescribed 15 minutes of walking every other day. I have since rehabilitated and can walk for about an hour or two per day but I am nowhere near where I have been and/or where I wish myself to be. Struggling with PEM has been a huge setback in regards to rehabilitating. I’m still having to retrain my brain how to view/understand/manage its new physical limits. I’ve been told its incredibly rare to have acquired FM at such an early age and I can’t lie – its been tough adjusting from my “past life” however reading your posts has been incredibly insightful. Though my heart aches for you too who suffers from chronic pain, its comforting to know we are not alone. Its a struggle to live with an invisible illness, when everyday you do your best to stay positive and others confuse your consistently positive attitude with being okay. I don’t want to have to complain whenever I’m in pain (in order to raise awareness), I don’t want to play the victim, I don’t want anyones pity – I just want to reduce the physical and emotional pain that comes with having FM/PEM. Thanks for sharing ~ keep on making waves! I very much have a problem with Pem. I became very frustrated when I realized I couldn’t exercise on a stationery bicycle for more than 5 min. without it putting me in bed for the next 2 days. In my mind, I feel like I should be able to do MORE than just 5 minutes. So I pretty much gave up. I threw the bike out. I don’t WANT to spend so many days in bed as I do. My mind will tell me to get up, but my body just says NO. Teresa, I feel the same way…so frustrating right? My big frustration is that I have to be active in order to remain able to be active, but the activity then causes PEM. If I’m not active I just get weak and have more pain and headaches. So I have to be active, despite the pain. And people don’t understand that yes, I CAN go out and have a good time, but I am in pain all the while and will pay for it later. I just choose the PEM because I have to LIVE, not give in! Is post exertional malaise part of fibromyalgia? It is THE defining characteristic of CFS/ME. Many folks with fibro have both. Neither the CDC nor the NIH list PEM for fibromyalgia?? It is listed on both websites for CFS/ME. So, I wonder how many of you all actually have CFS/ME along with FM.